If there is one thing Thredbo is good at, it is getting outside and active. Whether it is the Snow Season or the Summer Season there are always plenty of options for healthy outdoor action. In a world where kids spend more and more time engaged with the digital page, finding new ways to get them outside is important. Even better finding new ways to get the whole family outside and active together is an antidote to just about everything. 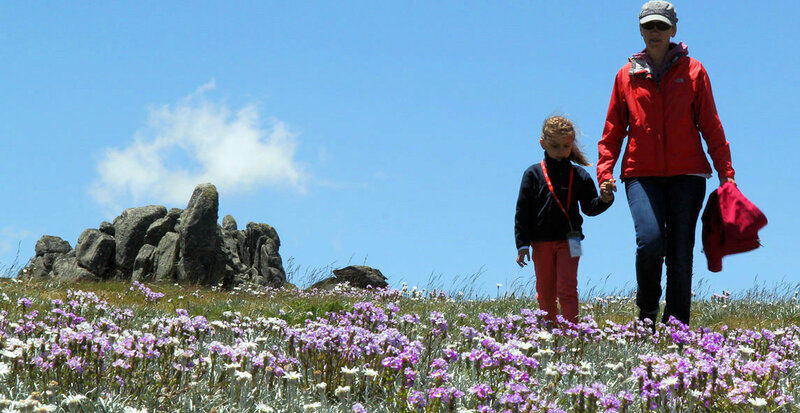 The Summer season is in full swing here in Thredbo and it is the perfect time to bring your family to the mountains to escape the screens and get up close and personal with the great outdoors. The 3 for 2 Family Adventure pack is a great place to start. From January 13th our 3rd Night Free Accommodation deals begin so you can book the whole family in on this package from only $579. The package includes 3 nights accommodation in an apartment in the heart of Thredbo as well as a 3 day All Mountain Adventure Pass for the whole family. This pass includes unlimited rides on the Kosciusko Express Chairlift. Obviously this chairlift takes you to the start of the Mt Kosciuszko Walking track, but it also takes you to several other excellent tracks leading out into the spectacular high country. If you book soon you may even catch some snow drifts still hanging on from winter and the amazing summer displays of wildflowers. Kids love hiking out in the high country, it is a unique landscape and there is so much to see that the time flies by on your hike out to Mt Kozzie. 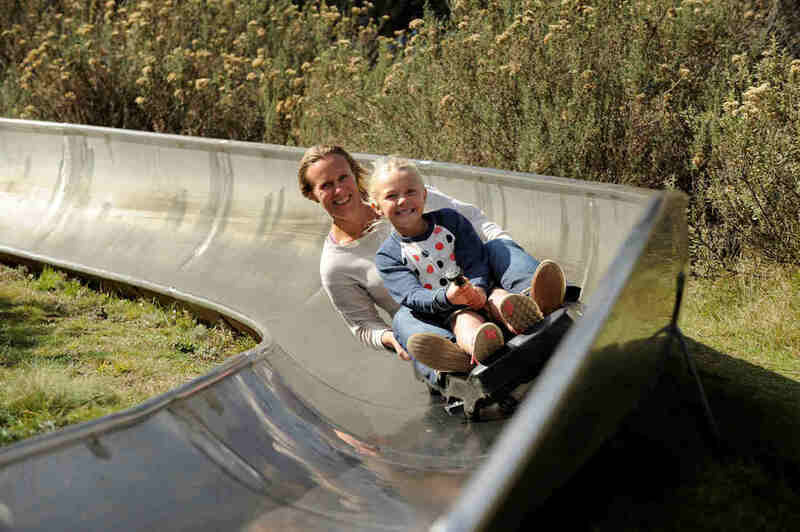 The All Mountain Pass also includes bobsled rides on Thredbo’s kilometer ling bobsled run and unlimited access to Thredbo’s leisure centre with a 50m heated pool, waterslide, mission inflatable obstacle course, climbing wall, gym, squash courts and a massive sports hall with trampolines and games galore. You can also play golf and tennis with the All mountain pass if you still have some energy left. Thredbo also has plenty of other free activities including a skate park, trampolines, and pump tracks for bike riders and kids cross country loop track for the mini mountain bikers. If you bring your mountain bikes things ratchet up a gear with some world class mountain bike trails in Thredbo and leading down the Thredbo Valley. There is also some great places to swim in the pristine Thredbo River and the Friday Flat Pond in the Village. 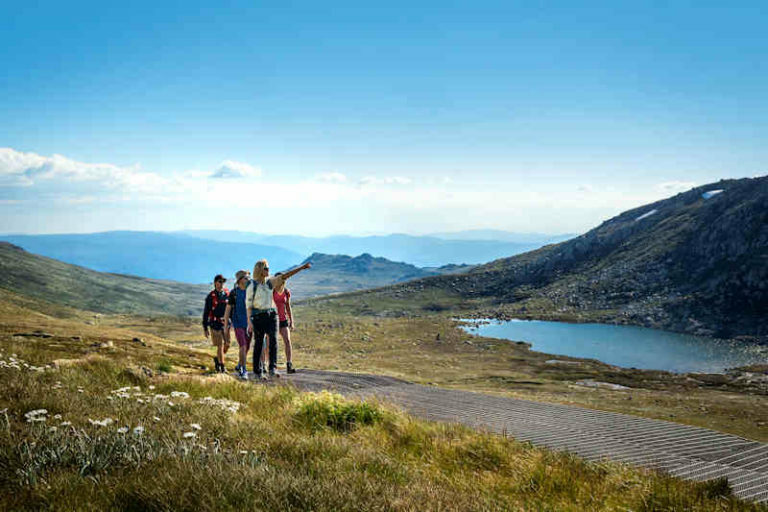 Thredbo is in the Kosciuszko National park so within 1/2 and hours drive of Thredbo there are some spectacular picnic places on the Thredbo River or the mighty Murray River. Three days in Thredbo won’t be long enough but it will be 3 days of outdoor fun for the family and 3 nights of silent slumber from tired puppies dreaming of alpine daisies and sliding on snow drifts. The Thredbo All Mountain Trail starts in 3,2,1…..